The bodice, a light blue cotton and a light blue organza overlay. The main skirt, made from the same material as the bodice. 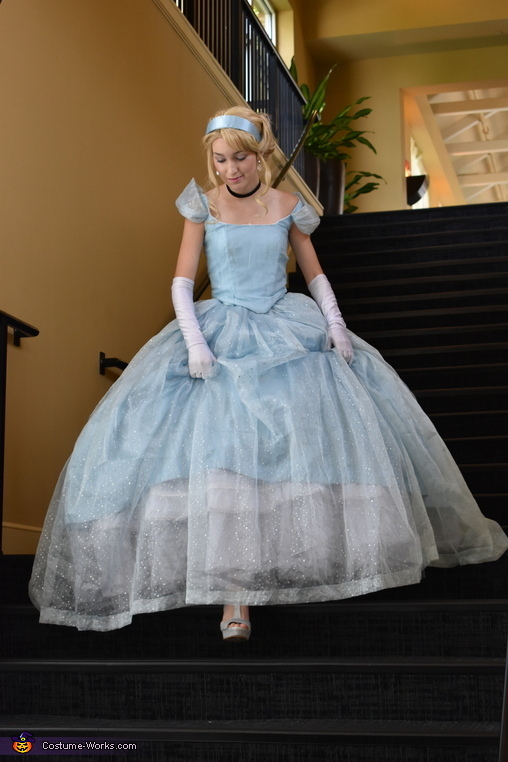 A 7 layer hoopskirt and a 5 layer petticoat is underneath the skirt. She loves making everything costumes and dresses!